The economic status in Cuba has caused over whelming struggle for families. With hardly enough income per household to pay monthly bills and groceries, families in Havana come together to keep each other a float during this economic crisis. 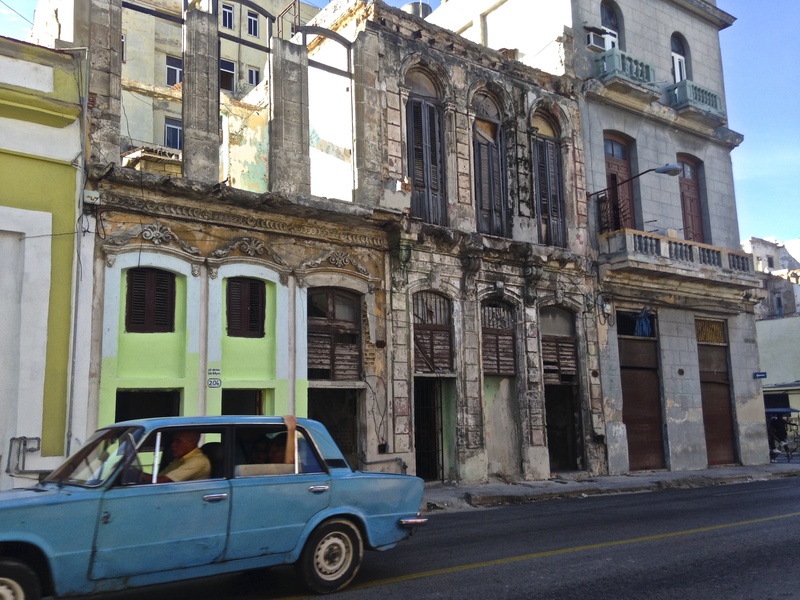 The average home in Cuba consists of 2-3 bed rooms within the large broken down buildings in Havana. The ground floors are dirt floors, there’s no paint on the wall, just patches of the previous chipped off coloring of the cement, there’s very few doors within the homes. Usually there is one door in the entry way. There are only windows on the front of the house that is facing the street, none up in the bed rooms or back farther in the house. The décor within the homes aren’t ever consistent, maybe a few miss matched chairs and a table, or a random sofa that had been passed down in the family. In the homes of some of the elders you’d find a larger variety and quantity of knick-knacks that have been collected over the years. Again never matching, but every item collected in their homes could tell its own story. The average family size in Cuba is hard to calculate because the definition of family isn’t easily defined. If you defined family as only immediate members connected by blood, the average size might be around three people. If you include step children and step parents, the average number ranges a significant amount. It is also extremely common to have multi-generations living within the same house hold. This is part of the Cuban culture. But if you really want to know the average size of a Cuban family, you would have to realize that family isn’t only made from blood. The communities in Cuba are close and do what they can, under the circumstances, to help each other out. 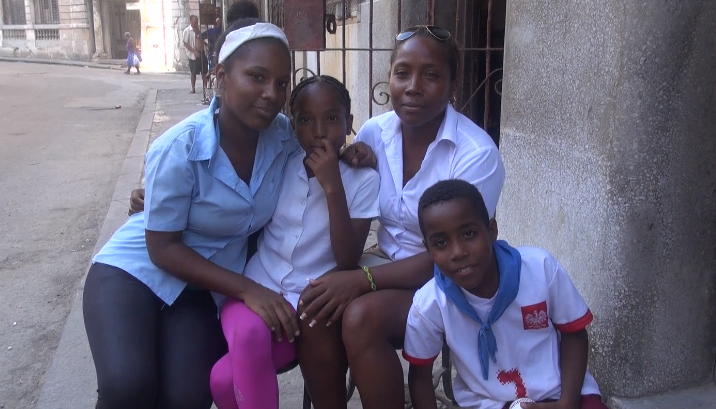 Taking a closer look on how the family dynamics work for a local Cuban family, I got the chance to talk to Yahinna Francis Acebal Abreo and her three kids. Yahinna is 34 years old single mom that is currently in a paid training course for hotel and tourism work. She is the sole provider for her home and on average makes 15 cucs a month. She has two daughters and one son that range from the ages of 9 to 16. All three children have different fathers, none of which are still in the families dynamic any more. The oldest daughters name is Yeolin Tivero Acebal and she is 16 years old. Next in line is 11 year old Yenisleydis Tussaint Acebal. Finally we have the youngest son and he is 9 years old. His name is Lekyam Ruiz Acebal. This family of four lives in a small, ground level apartment home. When I say small, I mean small. When you walk in through the front door you are already in the kitchen. The kitchen has a dirt floor and is about a 8 foot by 4 foot room. In the corner behind where you open the front door, there is a tiny 3 foot by 4 foot cement room that consisted of a water heater, a bucket for a toilet, and a shower head. The last room connected to the kitchen was their one bed room. With a sheet being used as a door, you pulled back the sheets and saw a 5 foot by 5 foot room. On one half of the room was a pile of the family’s cloths, all mixed together. On the other side was one twin sized mattress that they all shared each night. The family’s average daily routine started off with everyone getting up in the morning and getting ready for school. All three kids would leave for school around eight in the morning and return around 5 that afternoon. Yahinna would get ready for work and then walk every morning to her job. She usually gets home around the same time as the kids. When the kids get home from school, they are expected to do chores. Yeilin, the oldest daughter, cooks, cleans and does the laundry for everybody. Yenisleydis, the middle daughter, is expected to help her sister in any way she asks. Leykyam is expected to take out the trash every day. The only responsibilities that are expected from children are to do their studies and then their house hold chores. The mother and/or father is expected to be the sole provider for the house. There is generally one “leader” of the house; this person works and makes the income to pay the monthly bills and provide food for the family. Even though living conditions are very low and sometimes families don’t have enough to afford basic necessities such as soap, shoes, tooth paste etc., families in Cuba make do with what they have and are waiting for the day when feeding and taking care of their families isn’t such a struggle. Like most families around the world, the parents want what is best for their children. Yahinna mentions that she hopes that the relations between the U.S. and Cuba normalize so that her children have the opportunity to go live in the U.S. She wants this because she believes there are better job opportunities and life opportunities that will help her children succeed and live better lives then how they grew up. What does Yahinna hope comes from the bettering relations with the U.S.? “Bigger houses,” she said. This way all of the members of her family could have their own rooms and their own space to express themselves and grow. “One day,” Yahinna said. One day, the economics in Cuba will improve and the life styles and living conditions for families will improve. 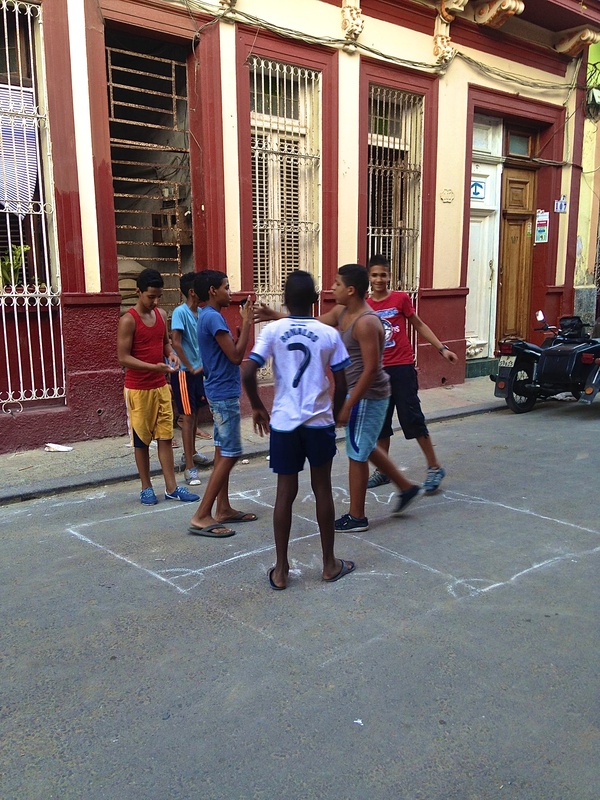 Until then, families in Havana make the best of what they have and live each day knowing they have each other.